COSHOCTON- Rosie Mae (Dilly) Buckmaster, 73, died Friday, Nov. 30, 2018 at her residence. 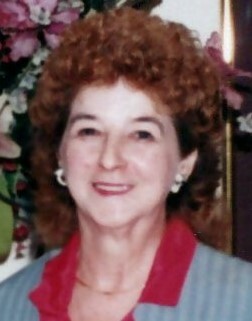 She was born May 13, 1945 in Dry Creek, WV to the late Thomas L. and Hallie M. (Moye) Dilly. She was a cook for many different area restaurants and clubs throughout the years. Rosie loved to cook, especially baking cookies. She took great care of her family and always put the needs of others before her own. She was the best friend a person could ever have. She is survived by her husband, James E. Buckmaster, Sr. of Coshocton; a son, Timmy W. Cook of Coshocton; a daughter, Deborah Good of Warsaw; three step-children, John Buckmaster of Coshocton, Jamie Croston of Kentucky, and James Buckmaster, Jr. of Coshocton; seven grandchildren, Cara & Amber Good, Erica Cook, Chris Timmons, Tony Rochester, Chad Lousha, and Morris “Hooch” Hopkins, Jr.; seventeen great-grandchildren, including Tyler, Alexia, & Lincoln; a brother, Don A. Dilly of Warsaw; and several nieces & nephews. In addition to her parents, she was preceded in death by four brothers, Thomas, Arlie, Randy, and Danny Dilly. Memorial contributions may be made to Community Hospice of Coshocton County, P.O. Box 1620 Coshocton, OH 43812.